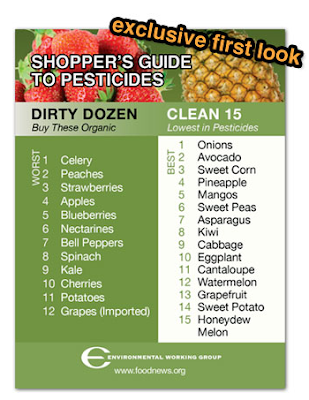 Environmental Working Group just released their updated version of the Clean 15 and the Dirty Dozen. Guess what made the bad list for the first time? Blueberries. How disappointing. Blueberries pack a tremendous amount of antioxidants and have really become popular as a health food, but don't be eating these without going organic. If you'd like a new copy of the updated list which is shown on the right to keep in your purse when you go shopping, click here to download. I also like to keep a list taped inside the cupboard next to the sink, that way I know which produce items I really want to wash well if I haven't been able to purchase organically. But honestly, I'm like Dr. Weil... if I can't get it organically (the Dirty Dozen), I'd rather do without. Remember, it's all about balance and we each need to make our own choices, but resources like EWG's chart sure make those choices clearer! You'll still want to consider which items on the Clean 15 may be genetically modified. If we could only get a chart for that, too! Hmmm... eating from my own garden is very appealing! After my experience processing meat birds this past weekend, I'm totally inspired to take the next step and raise some myself this year. But before I do, I know some research is in order. Since I've been raising layers for a while, I'm at least familiar with their needs, but there will be some differences. Breed, feed, and housing for their short life are concerns I need to address before pushing the "place order" button. Today, I'm just covering the first item: Breed. The most common breed used for meat is the Cornish White Rock Cross (Cornish X). In fact, it's the chicken that you find in the cellophane package at the grocery story which was popularized by Donald John Tyson in the mid '60s. The breed certainly has some advantages since it rapidly gains weight and is ready for slaughter in 8 weeks at roughly 4-5 lbs. dressed. If you're looking to save a few dollars on feed, this would be the way to go! However, there are some negatives to the Cornish X. They will literally eat themselves to death if you don't ration feed. Constant feeding causes their bodies to grow so fast their heart can't handle the strain and they'll die of heart failure. In addition, they get so heavy that they'll lay down to eat. And if it's hot, sometimes they won't even get up to drink water and will die from the heat. You should also know that the chick mortality rate is a bit high as well. The breed is easily stressed to say the least! All in all, you should figure on about a 15% flock loss before you ever get to slaughtering. There is an alternative; heritage breeds which mature at a slower rate. The benefits include healthier birds and better tasting meat, but you are going to pay for more feed since the birds are raised for a longer period. And they will still be somewhat smaller when dressed out. These birds are suited better for pasturing which could be a cost benefit if you have the space. The American Livestock Breeds Conservancy (ALBC) is working to preserve some of these disappearing birds along with other animals. Their list of breed requirements include: a genetic line that can be traced back several generations (and is recognized by the APA), the ability to mate naturally and remain true to type (Cornish X cannot), the ability to live a long, productive life, and a moderate to slow growth rate. Slower growth breeds are highly prized by the French who love a good meal! 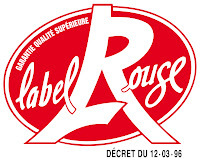 They've developed a whole program called Label Rouge (Red Label) to certify chickens that meet their stringent requirements. This isn't one breed, but rather various breeds raised according to traditional animal husbandry practices. A Cornish X would never make the grade from the beginning because the breed itself does not fit their criteria. However, several other breeds, if raised according to their standards, could qualify. Word has it that these birds are quite tasty, so you might want to give this method a try with the right breed! For a complete list of Heritage Breeds recognized by the American Livestock Breeds Conservancy you will want to go here. It's a lot of information, but well organized! Also, you can download a list of breeders at the ALBC as a pdf file. And, J.M. Hatchery sells Freedom Rangers which is an excellent option. Dale over at Backyard Farming is raising a batch of Freedom Rangers alongside some Cornish X to compare the two. He even has videos of the process! There are three so far, so be sure to see Videos 1 and 2 as well as Video 3. Should be interesting to watch over the next several weeks! Now to decide on a breed. Oh, that's going to be hard! Which would you choose? Summer is right around the corner! Have you made plans for what your daughters will do with their time? Perhaps they're ready to learn to sew? Here's another reprinted post from my old blog that may give you an idea of how to get started. Start gathering supplies and resources now so that you'll be ready in June! Years ago I taught my oldest daughter how to sew. Now that the two younger girls (Annie, 11 and Moira, 7) are old enough, I decided to give it a try. Fortunately, we are blessed to have three sewing machines around the house, so everyone can work on one at the same time. This certainly makes it easier, but of course, it's not necessary. When Kate was little I used Nancy Smith and Lynda Mulligan's book The Best of Sewing Machine Fun for Kids. I still had her copy and picked up an additional one at the local library. This book is so well laid out that it makes it a breeze to progress from step to step. Besides learning the parts of a machine today, the girls began to actually use the machine by sewing on lined notebook paper without any thread - only a needle. This allows them to practice guiding the paper and sewing in a straight line while learning how hard to push the foot peddle. A real challenge for a beginner, but lots of fun! This was our first session. Next... sewing on curved lines on paper, then we'll progress to sewing in a maze. By next week, we should start learning to thread our machines and practice changing colors while learning to sew dot to dot! After the girls make some paper ornaments out of brown paper sacks that are stitched and stuffed, we are going to skip to a pillow case project that I have planned before going back to the book to work on more curved lines. Charlotte Mason believed children should learn real skills that are useful in life. I couldn't agree more. And they are eagerly soaking it up! This is the kind of activity that builds confidence and a sense of accomplishment. In walking the path of a Food Journey, you need to find balance somewhere along the way or the whole process will eventually become overwhelming. When starting out, all the new 'health' knowledge can be so interesting. Then your body starts to feel better and it becomes even more compelling. Convictions start to take hold and suddenly you're hooked on a whole new lifestyle. However, it's easy to slip into a mentality of fear at this point. There is so much information out there on the internet and sometimes the message is contradictory. For example, do you need to remove phytic acid or not? Should you soak grains or not? Some say yes, others say no. And since there is research to back up both, it can be frustrating as well as confusing. It's easy to understand why some become fearful or paralyzed to do anything because they're afraid it will be wrong. For others, the quest can morph into a quest for the fountain of youth and a desire to cheat death rather than living each day to it's fullest with the goal to glorify the Lord. With the 'youth' message our world sends to us on a constant basis, it's easy to forget that God has numbered our days according to His good pleasure. If none of that applies to you, then perhaps you can relate to my friend, who recently reminded me that reading a blog like Homestead Revival can be a bit overwhelming because regular postings come quicker than changes a person can possibly make in their lifestyle. So much new information is like taking a drink from a fire hose at times! Any of this can cause people to give up entirely on living a healthy lifestyle and quit their Food Journey. My goal is not to bombard readers, but to offer a variety of topics on various levels because everyone is somewhere different along the continuum of their own Food Journey. And because I'm learning, too, sometimes I post about what's new for me just so you can get a glimpse of where I am in the Homesteading process. You've heard the joke... How do you eat an elephant? One bite at a time. Do the same when you read this blog and others like it. Take it one bite at a time. • Use it as a resource to come back to when you want information. • Pick those items you want to try and pass over the rest. • Let it inspire you to try one new big thing this year. • Read it for ideas of where you want to go next in your journey. • Leave comments when you can to help and encourage others along the way, especially if you've tried something or have some information that might help. If I could stress one more thing that you should remember in your journey, that I believe is extremely important to keep in mind, it would be this: Our bodies really can handle some exposure. We can eat that occasional sugary snack and truly enjoy it as a treat. Once in a while, it's okay to indulge in some great fries or that triple layer chocolate cake. We live in an imperfect, fallen world, and yet God designed our bodies to live in this world so that they actually do heal themselves to some degree. (When I say "heal themselves" it is never apart from Him, but rather by His will and design! ).The more we do to live a healthy lifestyle, the better our bodies can handle the bad stuff we're exposed to on a day by day basis. If we have balanced the scales so that the healthy far outweighs the unhealthy, then our bodies usually can work to counteract the bad because He designed it that way. Now I'm not saying that we can do anything even once in a while and our bodies will miraculously handle it (like step in front of a train! ), but in the normal course of living, this is the case. When your child skins his knee; God designed his skin to heal. You catch a virus that causes a cold; your body's immune system works to destroy the invading virus. You eat a can of tomatoes with a little bpa once in a while; your body's systems work to eliminate the toxin. THIS is why it is good to maintain a healthy lifestyle! So your body's defenses have the greater advantage; an edge over the free radicals, bad bacteria, and bumps that come along the way of life. No one knows the number of their days in advance. Whether they are few or many, I want to be as healthy and productive as many of those days as possible. It's all a gift from God. Even the knowledge we gain to make healthy choices is from the Lord. Let us use it for His glory! While I've raised layers for about three years, this weekend was the first time I was able to participate in learning how to slaughter meat chickens. And I'm happy to report it was a great experience! My friend, Debbie, is an excellent teacher, very patient and good at explaining things. For the faint of heart, I've been careful in selecting only certain pictures to show the process, but this is a homesteading blog, girls! We processed 8 Cornish cross chickens (the white chickens) in about 2 1/2 - 3 hours since everything was already set up. You can see them here along with some layers that Debbie was raising before introducing them into her existing flock. 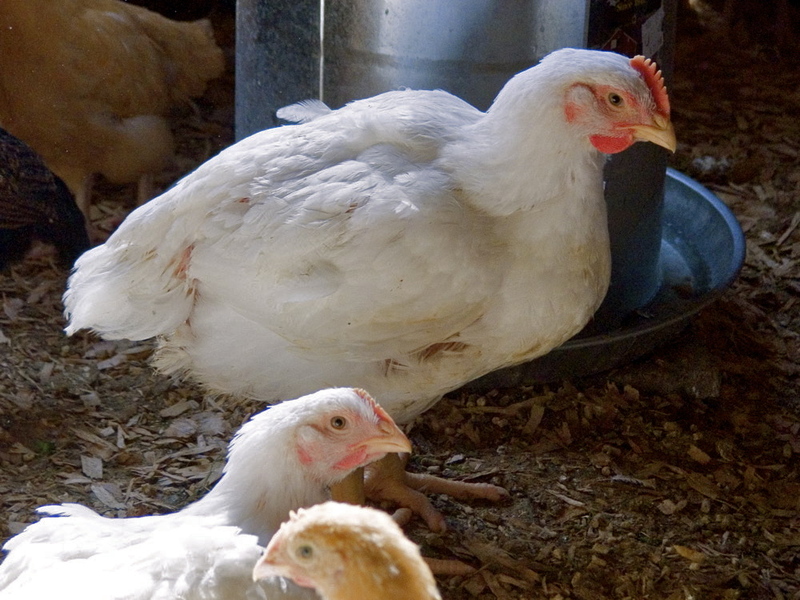 Cornish Cross are the most commonly raised meat birds, gaining an exceptional amount of weight in an 8 week period. You don't want to go beyond the 8 week period because they begin to get too heavy (they stop walking around) and they begin developing pin feathers. I'm sparing you the beheadings and going straight to the scalding, but trust me... we all took a turn. (My husband did not think it would be appropriate to post too much blood and gore). However, you can see Debbie draining the blood from the bird. Next comes the plucking; and if you've done the water bath just right, the feathers come off easily without tearing or scalding the skin. There's an art to this. Debbie says when the steam starts to smell like chicken soup, pull her out! A quick rinse will show you what you left behind. We didn't use a pin knife, but this tool can help you get any remaining feather pins if necessary. Debbie has skill... no need for fancy tools here! And finally, the neck is removed and saved for broth along with the feet. At this point, you can keep the bird whole or cut it up however you're family prefers. I was really proud of my oldest daughter who joined me for the morning. I want my girls to learn these things early on so that it is a way of life. She's interested in food science and possibly culinary arts, so I'm sure Julia Child would be proud of her, too! In the end, it was a great morning getting a lot done, made even better by sharing it with friends. I think this is how it should be. Thanks, Debbie! I can't wait to get started raising my own! To learn more about raising meat chickens, you might want to read this article from Mother Earth News which will introduce you to the subject. 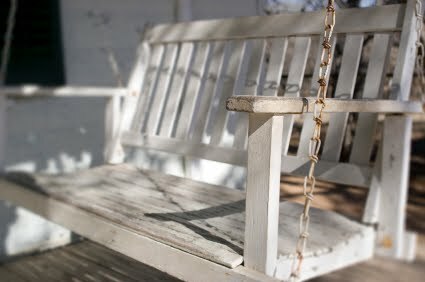 After a weekend of hard work, it will be satisfying to sit in the house of the Lord and rest in His goodness! Just having some photo fun at the Homestead! The theme? My kitchen. Sometimes a different perspective can show us the beauty of ordinary things. I'm off to help a friend slaughter her meat chickens. Should be interesting to say the least! Have a great weekend. I'm living the dream that I always had as a little girl; to be living in a small town, married to a fantastic man, being a stay at home mom to 4 fabulous children, quilting, garndening, baking and loving life. I am addicted to fabric, anything organic and spening time with my children. I am a homemaker, a gardenmaker, a babymaker, a breadmaker, a quilt maker and certainly a mess maker! How could you not be with 6 people living in a small house? I'm actually pretty proud of myself for staying sane on a daily basis. My goal in life now? To be a Proverbs 31 woman! Thanks to USA Emergency Supply for sponsoring this great give-away! I hope you'll consider shopping with them when you need emergency or food storage items. I just ordered some additional food grade buckets, gamma seals, mylar bags, and oxygen absorbers to get ready for additional grains I ordered recently. Can you have too much? I don't think so. You can always share! If you're a Facebook follower, you know I often give advance notice of give-aways on the Homestead Revival page. Starting today, I'm going to try to post a "Thought of the Day" for discussion. Sometimes it will coincide with the post on the blog, but mostly this will be a quote from another source. I'm constantly reading and thinking "I need to share that thought with my readers", but many times it doesn't work it's way into a post. Also, I hope to share some tips and news flash items. For example, the other day, Amazon had Coombs Family Farms Organic Maple Syrup on sale. The 32 oz. jug which is normally $32.50 was on sale for less than $17. If you ordered two, you got free shipping, too! Currently it is being offered at $22.50 which is still fairly reasonable... for maple syrup that is (a.k.a. liquid gold). Anyway, the Facebook status will allow me to get these nuggets out there! So if you're not a Facebook follower, you may wish to start today. I apologize that I left the old poll up all week. Hopefully some of you were able to take a look at the results. Not too many eating organ meats. Personally, I won't be either. It doesn't matter that it may have reported benefits, nor does my freedom in Christ spur me on to eat this, and not even having grown up eating liver and onions (which I secretly liked)! None of it compels me to start adding this to my diet (Jennifer W., you can thank me on Saturday!). I'm sticking with Old Testament guidelines on this one. It just seems to be the right thing to do. While all things may be permissible, not all things are profitable (despite the science). I'm starting a new poll today a bit early and it will run through next Saturday. I'll just stir up that microwave controversy a bit more and let you share your opinion on it! Then we'll move on to something else unless I find out something definitive. I'm still working my way through Real Food by Nina Planck. With the younger girls in swim team, I'm gone three hours most evenings and it's really cramping my style! Nina's chapters are long and full of information, so it's not a quick read. Those of you reading along have probably had time to finish by now! I told you I was slow (but I didn't mean this slow!). This weekend I'm going to learn to process meat chickens with my friend Debbie. I'm really excited about this (okay, not the smell; I hear it's horrible), but I want to go through the process before getting my own birds. Hopefully I'll take a few pictures when I can. So, what will be going on at your homestead this weekend? How Healthy Is Microwave Cooking? Before I get into this post, I want to state up front that there is no definite evidence one way or the other on the safety of microwave cooking (you believe the FDA, right?!). Scientist on both sides of the issue make their claims, but not with hard evidence. At least that I could find. Perhaps someone reading this post can do better. But what I want to talk about is how healthy this is and what seems logical given the little facts that are out there. My goal is to graciously debate the issue for the consideration of our health, not create fear. This is going to stretch all our brains a bit, so bear with me - I'm going to keep it short and concise! How do microwaves work? According to the Daily Green, they aren't totally sure. That alone causes me to pause and think! "Microwave radiation is a form of non-ionizing radiation (meaning it can't directly break up atoms or molecules) that lies between common radio and infrared frequencies. So it is not thought to damage DNA of living things, the way X and gamma rays do. Still, microwaves can obviously cause heating effects, and can harm or kill at high energies. That's why microwave ovens on the market must operate at or below strict limits set by the federal government. Most microwave ovens hit food with microwaves at a frequency of 2.45 gigahertz (GHz) (a wavelength of 12.24 centimetres (4.82 in)). The prevailing belief is that molecules in the food, particularly water, absorb energy from the waves through dielectric heating. That is, since water molecules are polar, having a positive end and negative end, they begin to rotate rapidly as the alternating electric field passes through. That rotation is thought to add heat to the food. However, there are some scientists who have dissented with this view, suggesting that other interactions between the particles may be responsible for the heating." Just a little history for you. The microwave for the application of cooking food was discovered totally by accident. Percy LeBaron Spencer of the Raytheon Company was working with radar waves one day when he found that the waves had melted a candy bar in his pocket, which led him to experiment a bit with using it to heat food. "What we've got here is one of the great coal-mine fires of science--an argument that, in this case, has been smoldering for 50 years without resolution... in a paper often cited by microwave foes, doctors at Stanford University (Quan et al, 1992) reported that microwaving frozen breast milk sharply reduced the potency of the natural infection-fighting agents it contained. "The adverse effects . . . are difficult to explain on the basis of hyperthermia [high heat] alone," they wrote." It seems that it changes breast milk in some way. I didn't know that. The same article went on to point out that the type of micro-waves in a common microwave oven is not steady and often varies in intensity. You may have seen this happen in your own home when you went to heat water and it "exploded" or spewed suddenly. Apparently the water can get super-heated above the boiling point at times. This, too, causes me concern. It's just that it appears as if it isn't well harnessed. Kind of like a great experiment that "seems" safe, but occasionally it doesn't conform and does it's own thing. 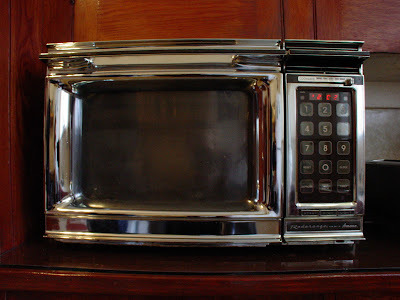 So, are microwaves safe for food preparation? Seems like no one knows FOR SURE. They think they know, they're pretty sure they know, they want to believe that they're safe, but there's that nagging little thing of a few unanswered questions they are still trying to figure out. Hmmm. We did a little experiment in our home where we heated two cups of water to the boiling point from the same water source - one in our microwave, one in a pot on the stove. Then we put a drop of water from each on a slide and viewed the droplet under a microscope. They were not the same. The water from the pot was clear, not much there, but the water from the microwave had some dark stuff in it. My daughter took this idea to her science teacher and they repeated it at school with the same results. I'm no scientist, so I can't even begin to speculate what's going on with the microwaved water, but once again, it just doesn't seem right. So, about 3 months ago, I put a ban on our microwave. It was only to be used when there was no other option. I thought this would be a really difficult transition for our family, but surprisingly it has been one of the easiest switches that we've made. I think it's only been used about 10 times in the last three months (to my knowledge anyway!). We've found other alternatives to heating water, left overs, and melting butter. I think because we've switched from plastic to glass containers, it's been pretty easy because I can just put the left over in the oven and let it heat along with the oven. No extra dishes to clean. Grant it, electricity would be better used if we had a small countertop oven, but I wanted to see if we could live without the microwave before I invested in another appliance. I'm not sure even the countertop oven is necessary at this point. If one wanted to make an argument for or against microwaves, it would be easy enough to do so because there are websites galore on the internet that lean one way or the other. But if you are using your microwave under the impression that there is NO debate going on out there and that it MUST be safe because they sell them and the government says so, then you better think twice. It just isn't that cut and dry. What do you think? Anyone a scientist out there? I'm a pretty good housekeeper for the most part. However, the floors? That's another story. Growing up I don't remember the floors being that dirty, but neither do I remember my mother cleaning them often. Although I was assigned vacuuming duty for most of the house, I hardly remember a time that my mother asked me to sweep. It was different when my grandmother came to visit. She loved sweeping. And she continually would encourage me to sweep! At the time I hated it. I don't intend to blame my mother for my being slack in keeping floors clean, but it makes me wonder if part of my neglect is because I wasn't trained to think about it much. My husband literally has to point it out to me! He's quite embarrassed about it when people drop by unexpectedly. Sorry Dear! Living in the country means your floors are going to have dirt. Not just a little. A lot of dirt! I don't think there's any way to get around this. Especially out west where there is less green grass and plenty of dry ground! If I could show you what I get when I do sweep, I'm sure you all would be appalled. It's not that it doesn't bother me. I hate dirty floors! I wear shoes constantly in the house because I can't stand even a little of it on my feet - unless I'm outside playing or gardening. That's different. But in the house, I want it clean. Dust bunnies, leaves inside the door, gravel tracked into the kitchen, wood bark and chips around the wood stove, bits of food from cooking, dog hair, and plain old dirt, just to name some of the stuff that makes it way into my home. Often I must remind myself what Sarah had to endure living in a tent and submissively following Abraham around all those years while traveling to the Promised Land and roaming around Egypt. I'm positive she never had anything but dirt to contend with and plenty of it! Can you imagine? I do. A lot. It keeps me from becoming so discontent with all the grime on my own beautiful floors. How did she handle it? Did she even know anything different? Think of the sand storms as they blew through the tent and got grit in everything. I've experienced a few of these while living in "civilization", but until I was camping in a tent in the Tecate desert of Mexico on a mission trip and one of these blew through our camp area for about half an hour, I had no idea just how bad this could be! Nothing was left untouched by dirt! Suddenly, my floors don't look so bad. Perhaps if I swept them just a bit more often I could keep them under control better. Maybe I need to don my apron and sing like Snow White, "Whistle While You Work". An attitude change can make a world of difference! Sweeping Tips for Your Floors! • Did you know that a 140 pound women can burn nearly 37 calories just by sweeping 10 minutes? Click here to calculate your own calorie reduction plan by sweeping. • Turn on some good music that has a faster beat to create some energy! 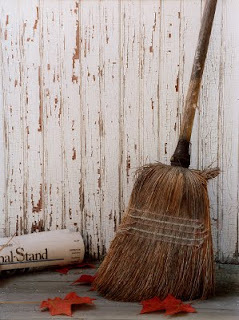 • To prevent dust from flying around, spray the end of your broom with a commercial dust mop spray or make your own. Just be sure to lightly spray the broom; you don't want it "wet". • Select a broom with thin straw set close together. A thin strawed broom will pick up the smaller particles on the floor better then a large strawed broom. • Use long strokes, keeping the bristles on the floor as much as possible. • Instead of picking up the pile with a dust pan, try using your hose attachment on the vacuum. It will help pick up the fine dust left behind at the end. • Set a regular time to sweep the entire house twice a week. In high traffic areas, sweep daily. • Train little ones early to sweep floors! They love this! And there are child size booms on the market. I love granola. It's so easy to make and so good! I haven't purchased cereal from the store in at least a year, maybe longer. It just costs too much and I feel like I don't have any control over what's in it (especially the sugar!). Usually, I make a quick batch on Sunday evenings so we have some ready for the week. And because it's such a flexible recipe, I can change it up a bit for variety. This version isn't a soaked recipe, so if you're a Nourishing Traditions purist, look the other way! Maybe I'll learn how to do that step later. For all the rest of you who are interested, you can mess with these ingredients as much as you like, so long as you keep the dry and wet ingredient ratios the same. *Note: the more honey you add the stickier the cereal will be and the more 'clumps' you'll have. Routine Is Necessary; Flexibility A Must!